Shopping for Cinderella Film Cells? 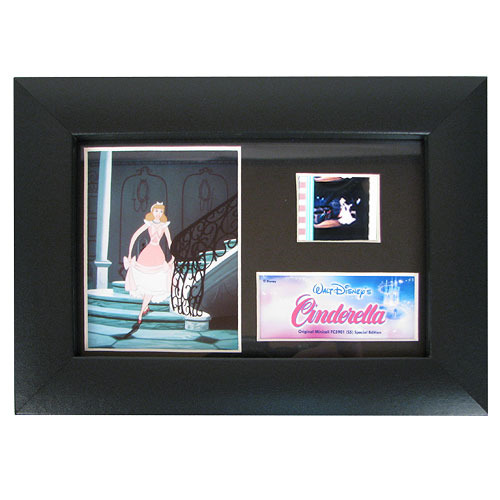 This amazing film cell features a print and an actual strip of film from the classic Disney movie, Cinderella. Measures 7 1/2-inches wide x 5 1/2-inches tall. Perfect for displaying in your home or at the office, all the elements are framed in a black wood frame and includes a certificate of authenticity. NOTE: The actual strips of film vary from piece to piece as they are hand picked from reels of film. Ages 15 and up.